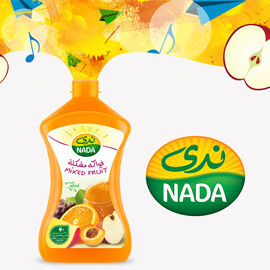 Nada is a brand of high quality fruit juices and drinkable dairy beverages with an ever-optimistic, young-at-heart attitude that exudes vitality. Nada drinkers like to explore the wider world around them and take a different, more dynamic view on life. Every little positive step you take counts, and in Nada’s world: “every sip counts!” How can you help spread Nada’s positive and dynamic attitude, in a surprising and appealing story? Surprise us with an unexpected, appealing story where every sip counts to help you see the world from a different, better perspective. Get creative and send us your video/animation before July 15, 2014 23:59 UTC time! Good luck to all the participants!